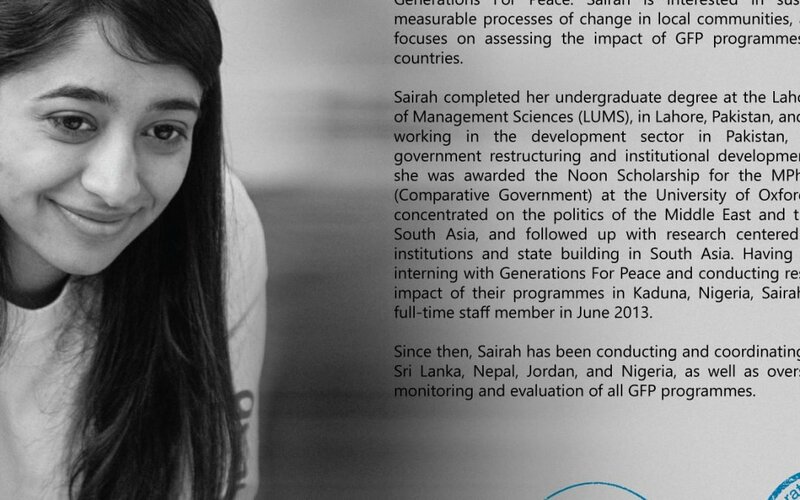 Hi everyone, I’m Sairah Yusuf, the Research, Monitoring and Evaluation Officer at Generations For Peace. 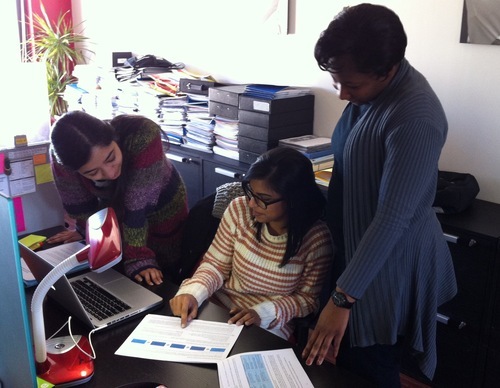 We’ve heard a bit about monitoring and evaluation on this blog – our Pioneers and Delegates have been doing it, and the GFP Institute takes a major role in it. And now, this Friday, a team from GFP HQ (including myself and my colleagues Nabila Hussein [Knowledge, Education and Outreach Officer] and Safiya Ibn Garba [Programmes Manager & Lead Facilitator]) will be heading to Kaduna, Nigeria, to assist with a set of five Participatory Evaluations. You might be wondering: “What does that mean? What is a Participatory Evaluation?” Participatory Evaluation is an approach that brings together everyone who is involved in a programme, and asks them to – collectively – come to an understanding of what happened and why. At GFP, this means bringing together the people who ran the programme (GFP Delegates and Pioneers), people who were participants in the programme (the Target Group), people who benefited indirectly from the programme (the Beneficiary Community) and other stakeholders who are involved in the programme. This is something we do at the end of each programme cycle. This approach has been selected by GFP because it has some important advantages. Participatory Evaluation is inclusive, giving everyone in the programme an opportunity to voice their opinions. Inclusiveness helps increase people’s sense of ownership of the programme and its results. Participatory Evaluation also helps improve the transparency, accountability, and credibility of the programme – people know exactly how decisions are made, who is responsible for making them, and whether these decisions will be put into action or not. By involving everyone, Participatory Evaluation also helps capture important information that may not have been documented through other data gathering processes. Most importantly, the whole process offers an opportunity for collective learning for everyone involved. How do we do this? We plan to bring together everyone involved for a set of Focus Group Discussions, to share – amongst other things – what worked well in the programme, what did not, what unintended outcomes there might have been, and what changes should be made to the programmes in the future. Afterwards, everyone has the chance to participate in a Big Group Discussion to share their views with each other. Sounds intimidating? It doesn’t have to be. In fact, over the next few days, we will be walking you through our Field Visit step by step, through vlogs of our preparations and progress, and a wrap up of the Participatory Evaluations as well. Stay tuned!